I wish I had read this book when I was in high school or college. It is a great compilation of the ways you should handle yourself. Its meant for business – but I think it’s also great advice for your personal life. Dr. 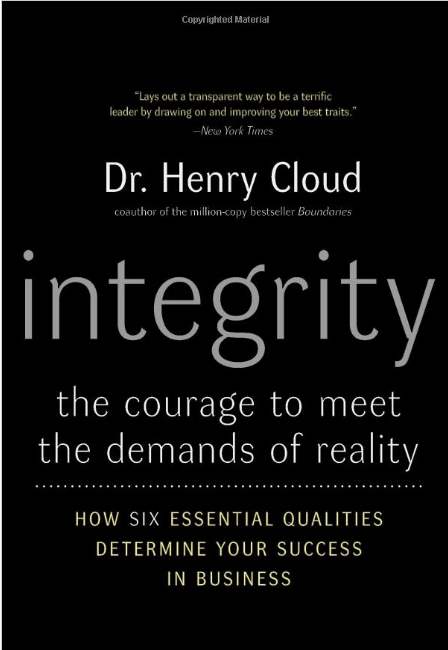 Cloud has 6 criteria for having integrity – establishing trust, oriented toward truth, getting results, embracing the negative, oriented toward increase and transcendence. Through great every day examples, Dr. Cloud shows the true meaning of integrity.